I am a certified counsellor, life coach and career coach. I can help you to deal with your emotions when life is difficult, for example when you are upset, stressed or sad, or to achieve clarity and develop strategies for a happier and more successful personal or professional life. Warm and intuitive, I create an atmosphere where help can be provided , with kindness and without judgement, to manage your emotions, to understand the origin of your difficulties and explore the possible solutions in your personal or professional life. Together we can work towards feeling better with yourself, finding your passion, a direction in your studies or the career of your dreams. After completing my studies in Physics and Astronomy in my country of origin, Italy, I worked first as a teacher in Italy and later as a researcher, lecturer, group manager, tutor and mentor, in several international institutions in Italy, Germany and, for many years, in the Republic of Ireland. I have raised a child now studying at university. 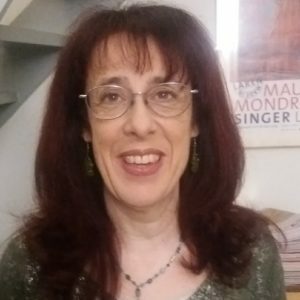 I have certified as an Integrative and Career Counsellor and Coach (Person-Centred Approach) at the Academie voor Counselling en Coaching (CrKBO¹ registered Training School) and have a Doctorate Degree in Physics.